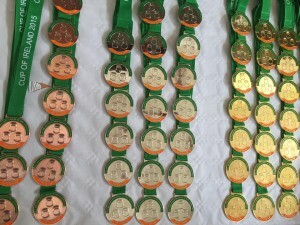 Well done to all athletes (over 150) who competed at the Cup of Ireland last weekend in Rosslare Strand. There were some amazing and gutsy performances from beginners up to the highest level. Thanks to all the athletes,coaches, judges, organisers and spectators who helped to make it a successful event and continue to grow the sport in Ireland. After the World Championships in November the next AIKLF competition will be a 5 minute event held in Cork on December 5th.